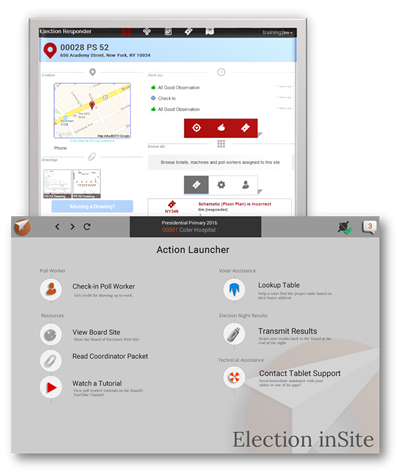 SageSmith the Complete Election Administration Solution. 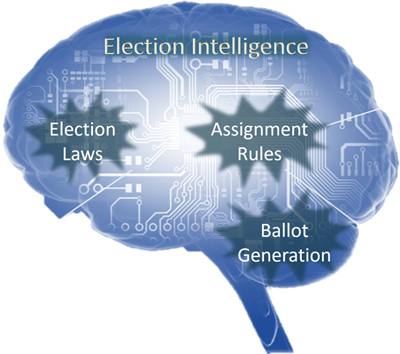 At SageSmith we simplify the complexity of election administration. 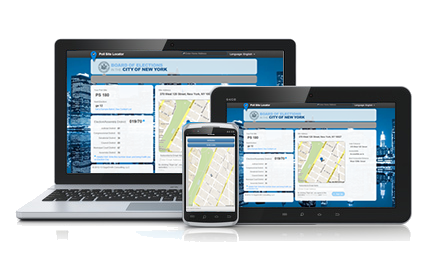 For over a decade we’ve automated hundreds of business functions for thousands of users benefiting millions of voters in the most complex election jurisdiction in the country, the five counties comprising the City of New York. From election calendar generation to election certification our systems manage, allocate and assign the people, assets and processes that make a successful election happen. It's Election Day, how's it going...really? Having your finger on the pulse of Election Day activities is vital to running a successful election. SageSmith offers three tools that give you that ability. ElectionResponder.com complete Election Day mobile ticketing application that works in "roving" or "dispatch" modes. 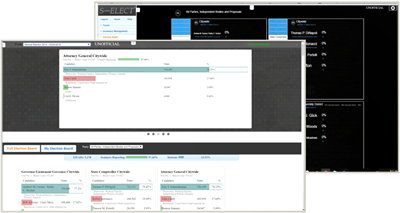 S-Elect's on-premises Call Center application provides centralized election day reporting and dispatching features. Whether it is managing people, securing places or keeping track of things SageSmith has the tool for you. properly paid for their efforts. S-Elect's Facility Management System provides detailed information on poll sites, warehouses and other election facilities. Complete with Floor plans and ADA compliance metrics this an indispensable tool to manage vital site information. 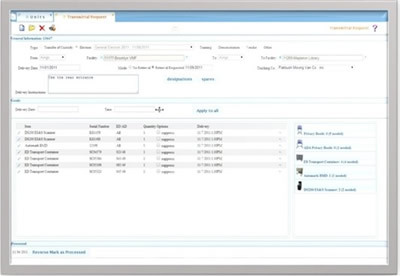 S-Elect's Inventory Management System keeps track of assets, receipts of goods and transmittals. Its companion products ElectionBin.com and Election Bin Tracker generate delivery confirmations using handheld devices. Communicating with the public and giving them fast and accurate election information is a vital function of an election administration. Our systems make it easy to reach out with the handshake between our backoffice election administration systems and our ElectionHub Outreach spoke web apps. PollSiteLocator.com reaches out to voters telling them when and where to vote and displaying contests and ballot images in many different languages. get training and work notices from administrators. vendors interested in accurate election data. S-Elect, the in-house web application, also features a comprehensive Results System for larger jurisdictions interested in hosting their own administration system.